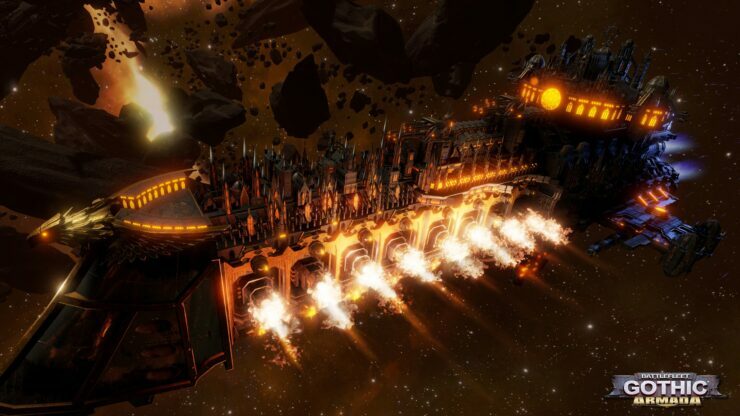 Focus Home Interactive and Tindalos Interactive have just released the first teaser trailer for Battlefleet Gothic: Armada. The game is currently in development for the PC platform and using the Unreal Engine 4 platform. Battlefleet Gothic: Armada, the famous tabletop game from Games Workshop adapted into a Real-Time-Strategy video game by Tindalos Interactive, unveils today its first video teaser. The game stages the mighty armada of the Imperial Navy’s Battlefleet Gothic against the insidious and galaxy-threatening Chaos Black Crusade of Abaddon the Despoiler in dark, deadly and intense space battles from the Warhammer 40,000 universe. This first video teaser is a prelude to intense space combat in command of huge battle cruisers – true metal behemoths – several kilometers long and armed to the teeth. 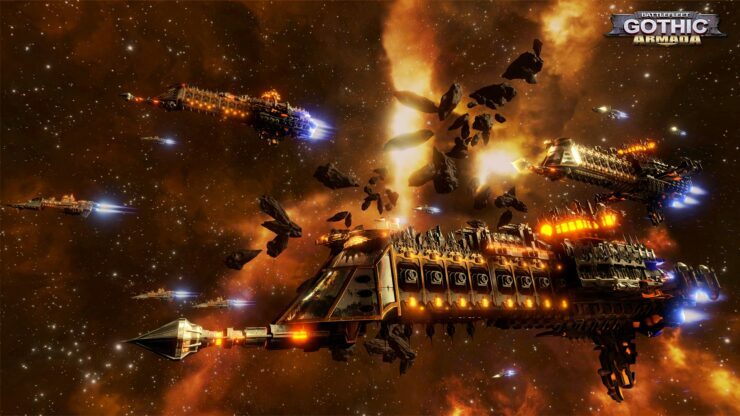 Battlefleet Gothic: Armada offers deep management of every ship composing the player’s fleet, both during and between battles. From the fastest frigates to the gigantic, miles-long battleships, the player will customize all aspects of his ships: weaponry, defense and support sub-systems, etc… each customization affecting the very performances of the ship and the special abilities available during battle. From battle to battle, the admirals and crew of surviving ships will gain experience and promotions, improving the battle-readiness of the ships for future, bigger and more dangerous battles. The game will be unveiled in more detail very soon. Below you van view some screenshots captured from an early development version of the game. 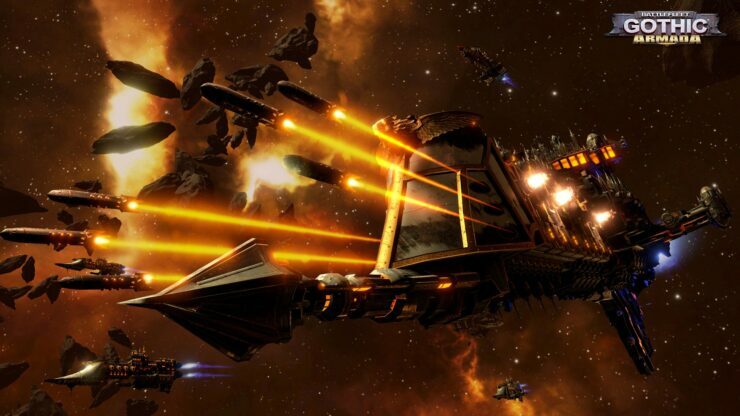 We will bring you any new information on Battlefleet Gothic: Armada, as soon as it becomes available. You can view our previous coverage of other Unreal Engine 4 projects here and here.